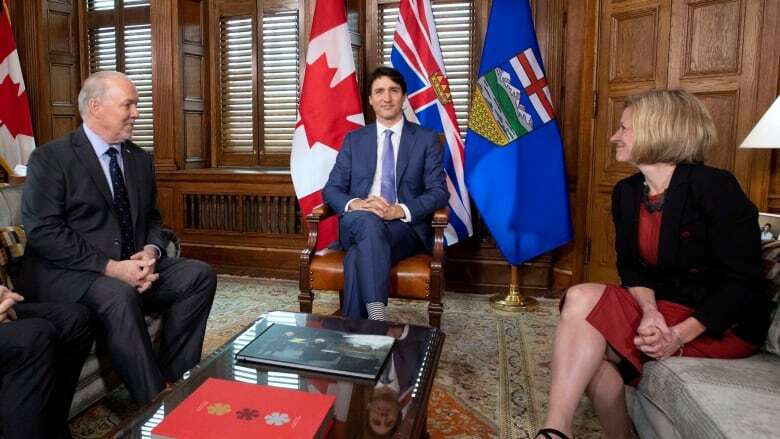 Prime Minister Justin Trudeau is off to France as he continues more than a week of globetrotting following a brief stop in Ottawa Sunday to discuss the Trans Mountain pipeline crisis with the premiers of Alberta and British Columbia. Trudeau was supposed to fly directly to Paris from Peru, where he attended the Summit of the Americas on Friday and Saturday, before deciding to sit down with Alberta Premier Rachel Notley and B.C. Premier John Horgan on Parliament Hill. With that highly charged meeting now out of the way, Trudeau will turn his attention to what will be his first official visit to France, where he'll meet with French President Emmanuel Macron and address the French National Assembly. The visit comes only days after France joined Britain and the U.S. in launching airstrikes against the Syrian government for an alleged chemical-weapon attack this month that killed at least 40 people and left hundreds more injured. Trudeau has voiced support for the joint airstrikes, and will have a chance to discuss Syria and Russia, which has emerged as Syrian President Bashar al-Assad's strongest backer, when he meets with Macron on Monday. Macron spoke with Russian President Vladimir Putin last week, before the airstrikes against Syria, and is scheduled to visit Russia in May. Much of the prime minister's two-day visit to France before he heads to London to attend a meeting of Commonwealth leaders will also focus on trade as Canada looks to ease its reliance on the U.S. market. Trudeau's message will include highlighting the potential benefits of the new Canada-European Union free trade deal, which came into force in September. The prime minister will also meet Michaëlle Jean, the former governor general of Canada who is now head of the international organization Francophonie. Additionally, he'll meet with the head of French aerospace giant Airbus, which has partnered with Canadian counterpart Bombardier on the latter's C Series passenger planes.